Pajaro Valley Pride is awarding $2,000 in scholarship to two students. One scholarship will be awarded to a student based on their academic success, and the other will be awarded to a student who’s been highly active in social justice issues either on campus, and/or the general community. Both scholarships will be awarded to students who will show they are enrolled in an accredited higher education institution. 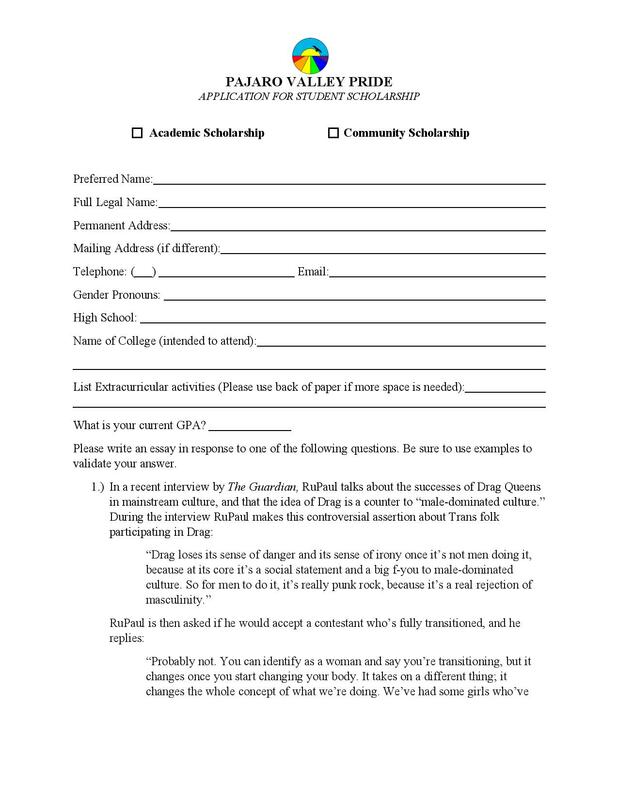 View the attached flyer (download here) for more information on application criteria and how to apply!